The strengthening of reinforced concrete (RC) structures using advanced fibre-reinforced polymer (FRP) composites, and in particular the behaviour of FRP-strengthened RC structures is a topic which has become very popular in recent years. This popularity has arisen due to the need to maintain and upgrade essential infrastructure in all parts of the world, combined with the well-known advantages of FRP composites, such as good corrosion resistance and ease for site handling due to their light weight. The continuous reduction in the material cost of FRP composites has also contributed to their popularity. * Flexural strengthening of slabs. For each area, the methods of strengthening are discussed, followed by a description of behaviour and failure modes and then the presentation of rational design recommendations, for direct use in practical design of FRP strengthening measures. Researchers, practicing engineers, code writers and postgraduate students in structural engineering and construction materials, as well as consulting firms, government departments, professional bodies, contracting firms and FRP material suppliers will find this an invaluable resource. 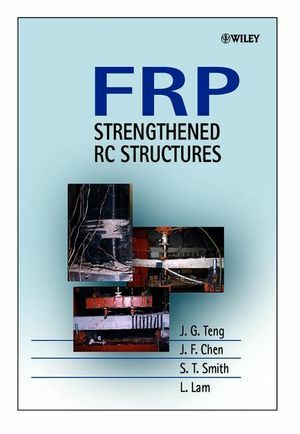 J. G. Teng and J. F. Chen are the authors of FRP: Strengthened RC Structures, published by Wiley. FRP Composites for Strengthening RC Structures. Bond Strength of FRP-to-concrete Joints. Strengthening of Axially and Eccentrically Loaded Columns.